First Minister Nicola Sturgeon is being urged to correct a “mistake” which makes wildlife sites in Scotland more vulnerable to damage than sites in the rest of the UK. A coalition of 26 environmental groups has written to the First Minister warning that Scotland’s international reputation depends on her strengthening legal protection for endangered species in rivers, lochs, bogs and coastal areas. The Ferret reported in February that new guidance issued by the Scottish Government was under fire for weakening the level of protection give to the 51 sites in Scotland designated as important wetlands under the international Ramsar Convention. Conservationists accused the government of rewriting the rules on how Ramsar sites were treated depending on their other nature conservation designations. 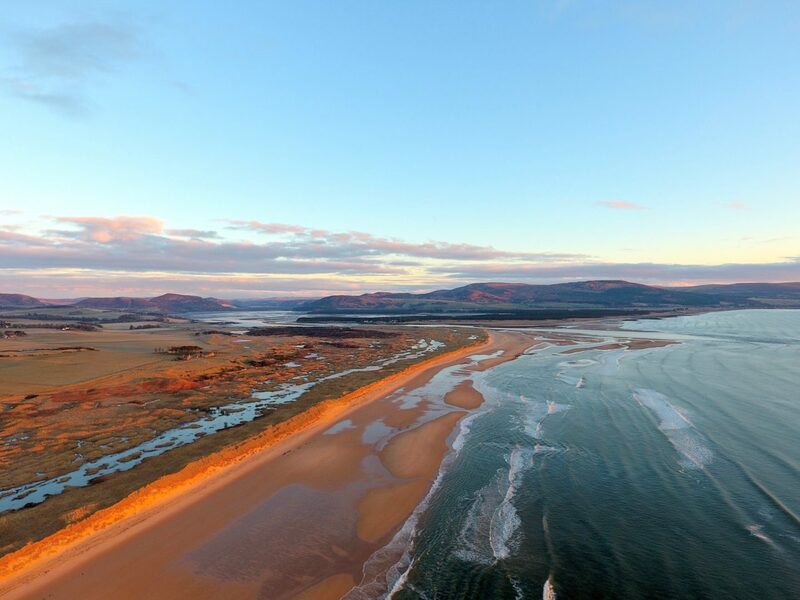 This meant, they said, that more damaging developments could be permitted – such as the fiercely disputed golf course planned at Coul Links in East Sutherland. Now Scotland’s leading environmental campaigners have joined together to sign a letter calling on Sturgeon to intervene. They compliment ministers on their commitments to maintaining the environmental protection standards required by the European Union after Brexit. The joint letter pointed out that policies across the UK had previously ensured that Ramsar sites had the same high level of protection as those designated as Natura 2000 sites. “The weakening of this policy, issued without any public consultation, would undermine a longstanding international commitment,” the letter continued. This would contradict what ministers had told the Scottish Parliament and “mean that Ramsar sites in Scotland would receive a lower level of protection than in England, Wales or Northern Ireland,” it said. The letter expressed the hope that the policy note may have been issued “in error” and that Sturgeon will quickly amend it. “Scotland’s international reputation depends on it,” it concluded. The letter was co-ordinated by the umbrella group, Scottish Environment LINK. “These are uncertain times and any indication that environmental protections could be weakened is therefore of widespread concern,” said LINK’s chair, Charles Dundas. One of the signatories, the Scottish Wildlife Trust, pointed out that Ramsar wetlands hosted a “truly amazing” range of wildlife from geese and terns to rare bog plants. “Protecting them is increasingly recognised as a key step in tackling climate change and biodiversity loss,” said the trust’s chief executive, Jonny Hughes. Another signatory, the Royal Society for the Protection of Birds (RSPB) said it was “extremely surprised” by the new policy note. Protection for Ramsar sites would become “significantly weaker” than in the rest of the UK, said RSPB Scotland’s head of planning, Aedán Smith. Other signatories to the letter included the National Trust for Scotland, Plantlife Scotland, Buglife, Woodland Trust Scotland, WWF Scotland, Ramblers Scotland and the Royal Zoological Society of Scotland. The Scottish Government, however, insisted that it was meeting its Ramsar requirements. “We will consider and respond to this letter from Environment LINK members,” said a spokesperson. “Scottish planning policy is clear that all Ramsar sites are protected through co-designation with Natura 2000 sites and/or Sites of Special Scientific Interest and are protected under the relevant statutory regimes,” the spokesperson added. Photo thanks to Craig Allardyce.